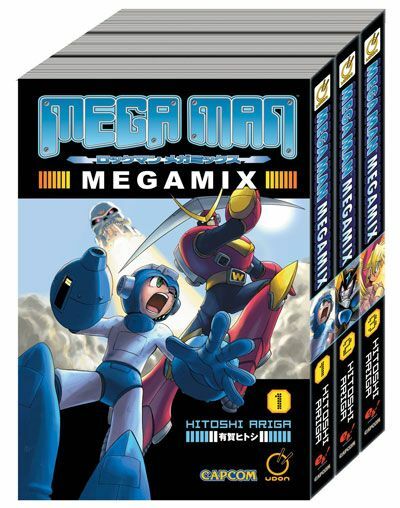 Rockman Corner: Megamix Box Set Delayed? An UDON release delayed?! PERISH THE THOUGHT. Seriously UDON delaying something is about as surprising as waking up and seeing that the sky is still blue. typical udon, they are terrible when it comes to actually releasing things without several delays. considering the books are still available individually for purchase I'm not even going to bother waiting for the box set and just order the volumes separate online in a few days. Hmm, this is rather sad for me, considering that I've been asking both my brothers for this Manga series, and for my last Birthday & Christmas my presents have been Sonic Unleashed & The Black Knight. Actually, my last birthday present was Other M, which really not a bad thing since I've been putting off Metroid The 3rd Derivative for too long and I like to at least try it for myself. Also, why are you crediting me for the News Tips, I didn't send any of this. In fact, I've only been following the ones relating to Archie Comics. @Joseph Collins: I think you mean, inb4 delaying UDON comments. =P But those have already happened. Different RockX. Without the dash. Well, at least it'll be right on time for Christmas. 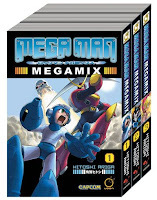 I hope they release Gigamix too, maybe right on top of this release, that way I can get these for the library because some turds stole the last copies I gave them. Argh!